How is a fretboard like this functional? Is there any difference between this fretboard and a normal one? On a standard bass (or guitar), the nut and bridge are basically parallel, and perpendicular to the strings. The saddles will never be an exact straight line, so they are usually (on electrics) made to be adjustable. On this, the top string (G) is 3-4 frets shorter than the bottom B. So each string would be out of tune (intonation) if the frets were parallel. The twelfth fret ought to be the perpendicular one, with everything else fanning away from it, both sides.Although it doesn't look exactly so from the pic. It will work, but why you'd need one, I don't know. The string set won't be standard, as the shorter G and longer B will mess up the tension.Interesting though.What make ? Not the answer you're looking for? Browse other questions tagged electric-bass-guitar fretboard or ask your own question. 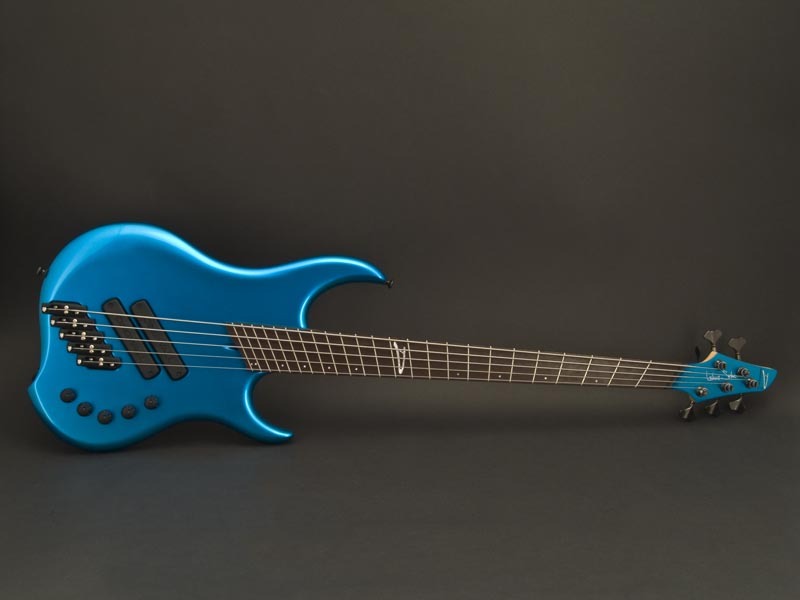 How can I turn an electric bass into a fretless electric bass by myself? What is this bass belt strap? What is the purpose of this piece of wood between the pickups? How can an electric bass/guitar without pick ups work?